Need to get a hold of us? Awesome! We don't list our phone number, but if you fill out the form below or send us an email, I promise that someone will get back with you! 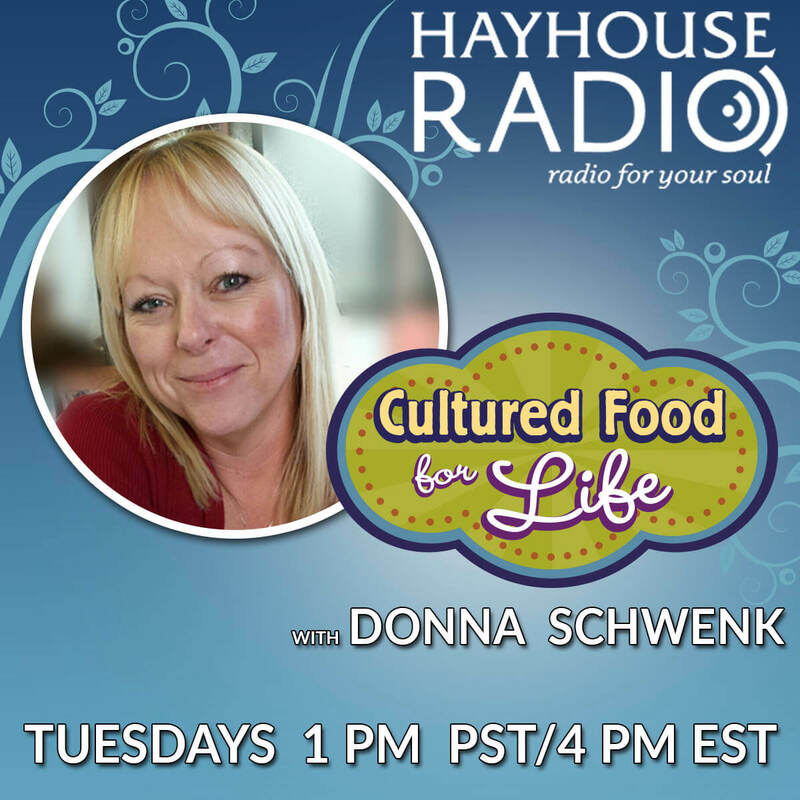 Have questions about cultured foods? We'll do our best to answer them! We try to help everyone, but we have extra support for our Biotic Pro Members! 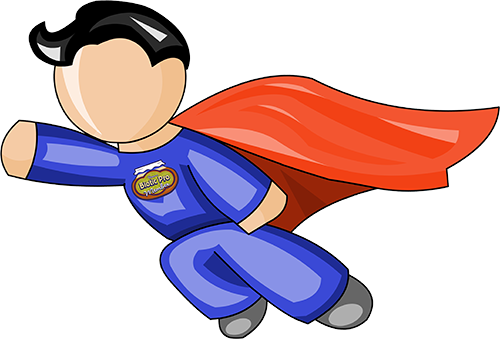 Live Chat - Talk to our team for extra help and support. Member Forum — Chances are your questions have already been answered there! We do our best to get your order shipped within 1-2 business days. However, if you ordered a live starter culture, then we won’t ship it until the Monday after we receive your order. This helps to ensure that your order gets delivered during the week, so that it doesn’t sit all weekend long at the post office. It can take 1-2 business days for any tracking information to show up on the tracking website. So don’t worry if you click the tracking link and it tells you that the tracking number is not found. Just give it some time and it should work. My order didn’t arrive on the estimated delivery day. Will it be ok? The post office is usually pretty good about getting packages delivered on time. However sometimes delays do occur. If you ordered a live culture and are worried about it running out of food, don’t be! We give our cultures extra prebiotics before we ship them, so they can actually last up to two weeks in the mail. So if it takes a couple extra days to reach your home, it should still be perfectly fine. When/Where is your next class? Donna LOVES teaching live classes. She doesn’t do very many, but when she does, it’s always a blast! You can check for any upcoming classes on our Events page. 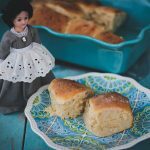 We also announce upcoming classes in Donna’s weekly emails, so make sure you are subscribed to her blog. How do I request Donna to teach a class in my area? We want to know which cities want Donna to come teach a class! If you know of a great venue in your area and are able to get at least 50 people to attend a class there, we want to know about it! Send us an email with available class dates, location, and number of people interested in attending, and we may just add it to our list of future classes! Are you a Biotic Pro member? Log In to your account to get priority support! 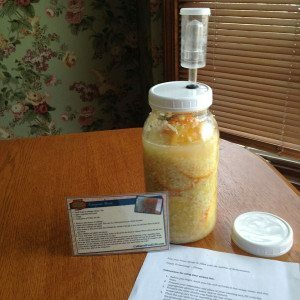 92 Responses to "Contact Us"
I am excited to use the kefir I received recently, however, it has not seemed to ferment. As soon as it was delivered by the mail person, I put the strained kefir in 1 1/2 cups raw milk. It did not seem to ferment, but I’ve done the same procedure for the last 3 days, and it has not seemed to ferment. Did I do something wrong? Is it sour tasting and try only adding a cup of milk. Are you leaving it for 24 hours and is your house cold? 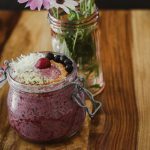 Hi Donna – I am new to working with kefir, and wanted to know if you recommend starting with milk kefir or coconut water kefir? 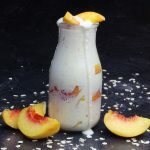 I am thinking I want to start with milk kefir – but wanted your thoughts on it. I would do milk kefir and this is where I started. I picked up your book and love. Looking forward to trying some of your recipes. Over the winter I’ve started kombucha, milk kefir grains, and have a crock of sauerkraut going. Now that we are finally through with our extremely cold weather we need to finish renovations. My question is … how will the smells of paint, stain, tile glue etc affect my ferments. What must I do to protect them. Both my husband and I are hooked on kombucha and kefir and don’t want to stop brewing for the summer. Well milk kefir and sourdough and cultured veggies use lids when they ferment and kombucha I would move from the room you are working on. I’m in my first trimester of pregnancy and the thought of making my kefier, let alone drinking it makes me very nauseous. Is there any way to stop my process until I can get over this food adversion? Thanks. It will pass after your first trimester. It will be ok if your nauseous just wait. This too will pass. Be good to yourself it will be ok once your pass those first few weeks. But is there a way to stop my kefir in the mean time? You can stop drinking it and you will be fine or do you mean stop making it? Just store it in a bunch of milk in the fridge and change it once a week. I love all the information you supply. Does the alcohol in Kombucha tea metabolize in the body like regular alcohol? I have been hypoglycemic and need to stay away from regular alcohol and sugar. It’s just like a fruit juice and not like regular alcohol and closer to vinegar than regular alcohol and you will be fine. Hi There! I’ve been using kifir grains for some time and recently had to go interstate for 4 months for work so I stored the grains in some milk and kept them in my fridge. My son checked on them periodically and added milk if it looked like they needed it – just wondering if this is the correct way to store them – I have returned but haven’t started another batch of milk yet! I’ll be heart broken if they haven’t survived! Thanks for your time and great information! Try making kefir if it sours the milk and thickens it then they are ok! Just make kefir and see what happens. The powder culture will make kefir but not unlimited kefir and also there is not as many beneficial bacteria. Live kefir grains will last forever and the have 50+ good bacteria while powder has 10. 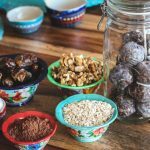 Powder is easier and more convenient because you can make a much or a little as you like while kefir grains you have to care for on an everyday basis. I made my first batch of kombucha. A new scoby grew on top but it is thinner than the scoby i bought to start the tea. Is that normal? do i reuse the scoby or use the new one to make a freash batch of tea? Yes it can be normal and depends on the temperature in your house as to how thick it gets. You can use the new scoby or the old or both. Doesn’t matter. The newest one works the best. my culture veggies froze in my refrig. are they still good? Yes, but they will not be as strong and some of the cultures will die but not all of them. They will still be good for you. i bought the water kefir grains – am in the process of rehydrating them in sugar water now- i made the strawberry extract for kefir soda last night – got my tall flip top bottles – ready to go! hould I add the sugar water that i drain from my rehydrating quart into my tall flip top bottles and add 2/3 c. strawberry extract (that I made according to your directions online)? I’m just not sure if I can substitute the regular kefir starter packets for water kefir? Just do my recipe with the strawberries and water and put the water kefir grains in instead of the packages and then remove the grains when it is bubbly and put them in sugar water and refrigerate the soda. jar instead of a bottle? I will look for recipes, but what do I do to keep it from exploding? I will search for recipes. If I buy bottles, is there a certain brand that is stronger? I bought olive oil that was in a bottle with a wire lock, and that bottle leaked out my olive oil at the bottom, so I know there must be differences in bottles. Thanks so much for your time. If the question is already answered somewhere else, just point me in the right direction. You need to use heavy glass bottles. I get them at tjmaxx or Marshalls I explain it and show them on my 1st day of kefir video. Don’t use olive oil bottles they are not made for brewing. You can use a quart jar put will have to release the pressure often. 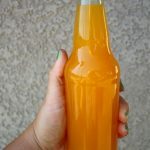 Hi Donna, I am new to all of this and wanted to make the Christmas soda you had on your free video. I used Yogourmet freeze-dried kefir starter but have not had succes with making the soda. Is there another kind of starter that is needed to make the soda? I did not catch the kind of starter you used in the video. I have made kombucha and now can’t do without it. 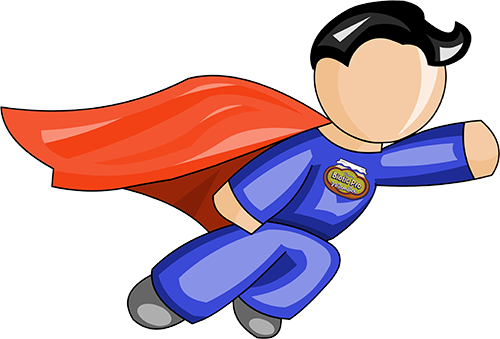 Thank you for your site and all that you do to help ohters. The starter I use is Easy Kefir. The yougourmet kefir starter is not very strong and I do not recommend it. You can make non dairy kefir with a kefir grains but not with water kefir grains. Water kefir grains are only for juice and flavored waters. I clicked on your link for culture starters, and the water kefir grains were not part of your recommendation. I am off of milk right now and wanted to culture the water kefir. If I buy through your site, do you get credit? If so, I need a link through you to the water kefir starter. question: how long does a jar of kefir keep in the refrigerator? I am the only one drinking it and my supply is getting ahead of me. It can stay years in the fridge. It just gets more sour but the good bacteria’s preserve it. 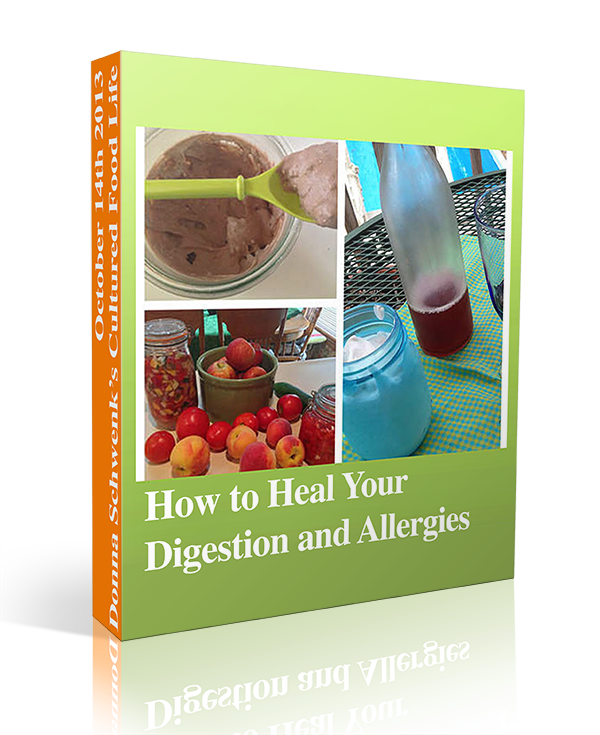 Many many people have got off their antacids when they started consuming kefir. Very effective and I think it would help you. Yes in the beginning it will detox you but it will get better quickly. Just back off a little and then in a week or two it will be fine. It’s created a new world inside of you and this is a good thing it just takes a little while to adjust. Thank you Mary. Looking forward to it too. Thanks for posting! Thank you for the e – Books, I love it. I have a question. . . How much kombucha is safe to consume in a day. My sister drinks a quart for health reasons and my husband would drink that much too if i made enough. 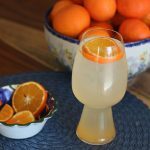 I read an article that you have to be careful with kombucha because of the acid and the possible over growth of bad yeasts in homemade kombucha. I love my kombucha and i 2nd ferment it so it is becoming one of our favorite drinks. What do you think? I drink a lot. It really just depends of how you feel. I have been know to drink 4 bottles a day just depends on the day. Just got some dairy kefir grains last week. Love them but I’m afraid I may have killed them! Our house is always pretty cool and this morning it was really cool, had our first frost last night! I turned my oven on warm as I Was getting breakfast together and put the kefir I was just making in Just to warm up. Our house temp was about 62F. I usually just turn it on for awhile but got distracted and my husband shut the oven door. When I realized what had happened I Immediately took it out. The jar was nice and warm. I’m wondering how much heat those little grains can handle? Hopefully I didn’t kill it! If it thickens the milk and makes it tart your grains should be ok. Just make some keifir and see how it does. Yes, I did mention that. I made watermelon radishes and then added hunks of watermelon and fermented for 2 days on the counter with 1/2 tsp salt. thanks. So I was remembering a little incorrectly – I have never seen watermelon radishes. We only have the regular red ones. Sounds like they would be good. 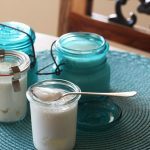 can i make kefir cheese out of coconut kefir? And same question with the cultured veggies, can i make them with the liquid that drains out of the coconut cheese? Thanks so much!! Yes you can kefir cheese out of coconut kefir. 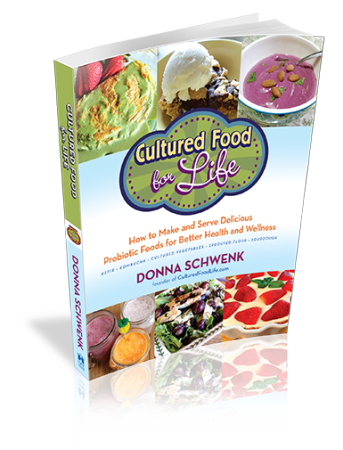 Yes you can make cultured veggies too. I tried to ferment tomato sauce/juice. It was really sour. Did I let it sit too long before bottling? How long did you ferment it? Tomatoes are usually only fermented two or three days at the most before refrigerating. I have your book and am making kifir and kombucha tea and love them both. my question is how long can you leave the scoby for tea in the frig with tea already fermented. I have 2 big scobies and sometimes i put them in the frig until i am ready to make more. is there a time limit to the scobies no longer being able to ferment the tea if they are in the frig too long? Thank you so much for your help. They can last a month or longer. But then they start to lose their culturing power. I was just wondering if by adding 1/2 c. whey to 2 c. any kind of fruit juice, plus 2 c. water that it will culture on the counter and be just as healthy without adding a mulling spice or tea bag? Can you basically add whey to almost anything and it will cause it to ferment or culture? PS I REALLY do love your website and cookbook They are awesome !!! Yes, you can add whey to almost anything and it will cause it to ferment or culture it. Lots of fun to experiment. Hello again, I have another question about the coconut oil. Does this or any of the brands that you have tried ever have a coconut taste? I have a friend, I’m trying to convince to switch and he is afraid it will have a coconut taste. Since I haven’t tried any other brand except what I’ve bought at the Amish store, I don’t know that answer. The expeller press coconut oil on this site has no coconut taste at all. The virgin coconut oil does have a coconut taste. I want to subscribe to notifications…. I posted before checking that ! ooopps. Hi Donna, I have been buying coconut oil from an Amish store in north Missouri for awhile now. AFter reading more about it here and there, I wonder if it isn’t a refined oil; which isn’t good for you. They sell it by the gallon for 11.97. Great price, huh? Anyway, I’m almost out of it and I was comparing prices here and there. I do want to get a gallon of the oil you have in your store, but when I click on that product it takes me to a screen without any options to order. When I click on the reviews it takes me to Amazon, who says the oil is out of stock. Can you please explain? The oil I have says: Butcher Boy 76 degree Coconut Oil CFC# 55041 by Columbus Vegetable Oils – Des Plains, IL 60018 — I went to their Web site and it doesn’t say anything about being refined, but by the price… would you guess it probably is? As always Thanks for your help !!! Looks like it is out of stock but you can always go to http://www.tropicaltraditions.com/ and buy it directly there. I also purchased the butcher boy coconut oil and am wondering if it is processed and therefore should not be used for food. I have very dry skin and hair so I can continue to use it that way. I’m just wondering about injesting it – using it for cooking. Is it hydrogenated? If it isn’t you can still use it. I tried the tomatoes, and used the veggis culture – but as of day 3 not one bubble. What did i do wrong? Tomatoes depending on the type don’t always bubble right away. It’s ok if they don’t sometimes it takes a little time in the fridge. Don’t worry they are fine. I just started culturing veggies and i’m at the 2 week mark and noticed that there is a white sediment at the bottom of each of the jars. is this normal? Are you still fermenting them on the counter or are they are in the fridge? The white sediment is fine it is the process of fermentation. Actually a good thing. Great! I had them on the counter for three days, but then put them in the fridge after that as the recipe states. I don’t remember them hissing like you were talking about in your class while they were on the counter. just a little nervous since this is my first time and don’t want to mess it up. They don’t have to hiss, but sometimes they do. Greetings Donna! Question on fermented veggies… I’ve been making them (shredded variety with cabbage base) and enjoying them for several months now and while they’ve been tasty and healthful for my system, I seem to have a problem keeping the brine after I place the containers in the fridge. I’m using ball jars or other sealable containers to store them in, but with the jar that I’m taking from a couple times a day, even if I purposefully compress the veggies to keep them below the brine, after about a week, the brine is gone. What am I doing wrong? Are the veggies any good once the brine evaporates? I’m guessing they’re not… Is it possible to create more brine and add it as needed? As long as they don’t mold they are perfectly fine. Just pack them less full next time and add water an you will have more brine. Still ok even with no brine. If you are using Caldwells veggie culture starter you won’t have a problem with mold. I love your site. You had mentioned a brew belt. I was wondering about purchasing one. I can’t seem to find it on your site. Donna, I have been making kombucha for about a year now. Do the cultures ever get old? I am not sure what is happening with my kombucha. After about 10 days or so of fermenting there still is no new baby culture growing on the top. There is just a thin flim. What does this mean? Is my kombucha tea any good or do I need to throw it out and get a new culture and start over? This is the second time this has happened. There is no mold or any vinegar flies. I use to get thick new cultures on top. I also use the warming belt since it is still quite cool. i have my gal jars in a small cabinet. Is it possible they are not getting enough air circulation? Need some help!!! This happened to me once and I found that I needed a new culture. What you can do is get an original Gts synergy kombucha and add it to your brew. There is not enough cultures to make your brew. Did you let your brew go for to long before using it again a couple times? I am not sure why this happens. The cultures on mine seem to not be strong enough. I got a new starter from a friend and that took care of it. That was about 5 years ago. Find someone who has one or get an original GTs synergy (make sure it’s original and not fruit flavored) and add that to your brew and see if it will start to culture again. Add the whole bottle. Let me know how it goes. Yep, booch is the bomb! So I attended your kefir workshop at Nature’s Pantry last month and am still “encouraging” my kefir grains to reach a quantity that’ll allow me to ferment more than two cups at a time–still figuring kefir out. In the mean time, my wife and I have been going kombucha crazy. We’ve always purchased it as a rare treat, but recently started brewing our own. We actually grew our first scoby from a store bought bottle of kombucha. My caution alarm sounded and I have yet to test that statement. During the second ferment, I burp my kombucha daily when it is a very active brew and less when it’s less active. Question #2: When “burping” your booch, how long do you leave the top open before clamping it shut again? Should it literally be like a burp–i.e. open/close quickly? With a recent brew, upon opening to burp it, it fizzed over and I lost a bit of my precious liquid, so I left it to continue to ferment thinking that I had lost some of the carbonation. The taste was still great, but I was a bit disappointed with the resulting carbonation (fear not, my carbonation expectations are fair). Hi Darin, You don’t need to burb your kombucha if you use those grolsch bottles. You can however do this if it makes you feel better. If you want them to calm down and not lose the fizz refrigerated them before you open them.Don’t laeve them open very long it will make them lose their bubbliness. Do it quickly.I am a fizz girl and I live for the foaming fizziness of kombucha. I love it that you like it too. Happy fermenting. Hi Donna! I love kombucha, and crave it. Unfortunately it causes hives and allergic reactions for me, not sure if this is because I am allergic to mold, type of Kombucha, etc. 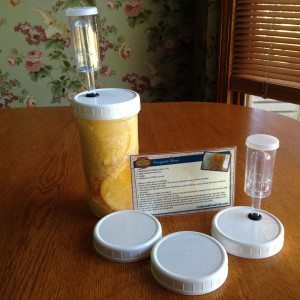 I want to use and make my own fermented foods and kefir’s but find almost no information on the internet to help me determine what my allergic reaction might be caused by. Would you have any links or information to recommend regarding this subject? I appreciate your help! 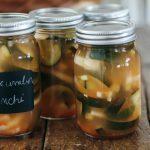 It would really help you to start eating other fermented foods first if you are having a reaction to kombucha.Many times these reaction are from adrenal stress and often go away after fixing the gut. 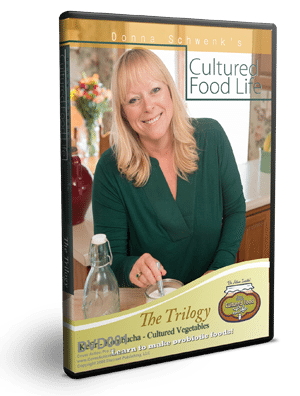 Try cultured veggies and kefir first and see how you do. Fix the gut and the adrenals will follow. I have a couple of questions. I started my first batch of kombucha 2 1/2 weeks ago. I want to flavor it when it is ready. I grow blackberries and raspberries in my yard. Last year I had so many that i pressed the juice out and froze it. can i use that juice to flavor my kombucha?? Also, i make ricotta at home. can i use that whey to make cultured vegetables or does it have to be kefir whey. i went on vacation and my grains died even tho i refrigerated it with extra milk so i don’t have kefir right now. 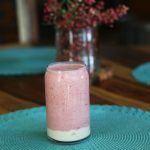 can you get kefir whey from store bought kefir? You can use your frozen juice to flavor your kombucha. Works great. You can’t use whey from ricotta because it doesn’t have enough bacteria in it and it is also heated which destroys bacteria. Store bought kefir doesn’t seem to have very much whey. I have tried to make cheese with it and it doesn’t work. You can try it and see and there is good bacteria in it to culture with. Donna, I am trying to find quality kefir grains. Where can i get them? Thanks! It is one of two things. The temperature is warmer now so things ferment faster. Or your grains have grown and you need to add more milk or take out some of the grains. You can also ferment it less when you see it start to separate. I have made my first batch of cultured veggies and love them. I stored my whey in the refrigerator from my kefir and it has been in there about 3 weeks. can i still use this for making more cultured veggies or is it too old? Also where would i find the leaves you mentioned for making my pickles crunchy? That is pretty old it is best to use whey within a few days a week at the most. You can find the leaves in your yard on oak trees and also blackberry, cherry,or raspberry bushes. Hi, what tea bags do you recommend? I get organic tea bags from costco. They have green and black and I use a mixture of both.